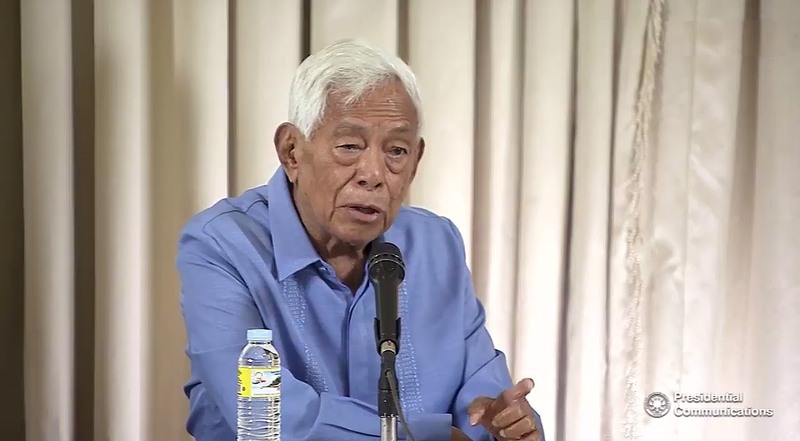 Former Senator Aquilino “Nene” Pimentel, Jr. on Thursday, September 7, stressed that shifting to a federal form of government would not only dissipate the causes of Muslim unrest but would also speed up growth and development in the country. Pimentel joined Presidential Spokesperson Ernesto Abella in a press briefing in Malacañan to discuss the key features of their proposal to adopt federalism as a system of government. “Let me go straight to the point. Our proposal for the adoption of a federal system is designed to disperse power. Mainly from the central government to the various federal states and therefore also to the local governments composing the federal state,” Pimentel said. The former senator said the proposal plans to create a total of 12 federal states in the country - five in Luzon, four in Visayas, and three in Mindanao. The Luzon federal states, as enumerated by Pimentel, include Northern Luzon, Central Luzon, Cordilleras, Bicol, and Southern Tagalog. The Visayas federal states would include Eastern Visayas, Central Visayas, Western Visayas, and the provinces of Mindoro, Marinduque, Palawan and Romblon (MIMAROPA). 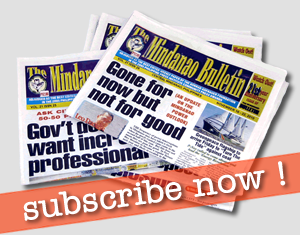 While in Mindanao, Northern Mindanao, Southern Mindanao, and the Bangsamoro region would be among the federal states. “Very important ‘yung Bangsamoro because primarily the federalization of the country will dissipate the causes of Muslim unrest and speed up the development of the country,” Pimentel said. According to the former senator, Metro Manila would be converted into a capital state, similar to Washington D.C. in the United States. Under the proposed federal system, Pimentel said the President and the Vice President would still be elected nationally. Senators on the other hand would be elected by the federal states that they would represent. Pimentel pointed out that each federal state would have six representatives in the Senate. He said the primary goal is to guarantee that all Filipinos will be represented fully in Congress. He said the "guiding principle" on all efforts to revise the Constitution would be the President himself. Pimentel also stressed that President Duterte should not resign from his post in case a federal system is adopted within his term so that the policy gets implemented properly. “It will take a man who believes in it para maisulong. Otherwise, kung sino-sino lang diyan ang mag-implement, baka wala sa puso nila,” Pimentel said. “Whether we shift to a federal system or not, we depend to a large extent on the present leadership of President Digong to push forward this kind of an idea,” he added. During the same press briefing, Presidential Spokesperson Ernesto Abella expressed the Palace’s “profound dismay” and described as “disturbing” the death of 14-year-old Reynaldo de Guzman. Abella said the administration has already ordered the National Bureau of Investigation (NBI) to conduct a thorough investigation and case build-up over the killing of De Guzman. “We call on authorities to bring the perpetrators of this suspicious crime to justice,” Abella added. He said restructuring the process of maintaining peace and order in the country falls within the ambit of the President’s campaign against crime, corruption, and illegal drugs. The government meanwhile vowed to provide assistance to Filipinos who will be affected by the possible revocation of the Deferred Action for Childhood Arrivals (DACA) program, which allows undocumented immigrant children to stay legally in the United States. US President Donald Trump has announced that he will be ending the Deferred Action for Childhood Arrivals (DACA) program of former US President Barack Obama. "The Department of Foreign Affairs (DFA), through our embassy and consular officials and staff, is closely coordinating with the members of the Filipino community in the United States following President Donald Trump’s announcement that he would revoke the Deferred Action for Childhood Arrivals (DACA) program allowing undocumented immigrant children to stay legally in the US," Abella said. "We will provide assistance, through the use of the Assistance to Nationals Fund and the Legal Assistance Fund, to Filipinos who may end up getting deported as a result of Washington's decision,” he said.